After picking, the garlic has to be hung out to dry for three weeks, which has been tricky during these past few weeks of heavy rainfall. A neighbor put his garlic in the wood-drying kiln because his property was so wet. Home grown garlic is so different from store bought garlic, but the main difference is that a clove of home grown garlic bursts with oil when you cut it. 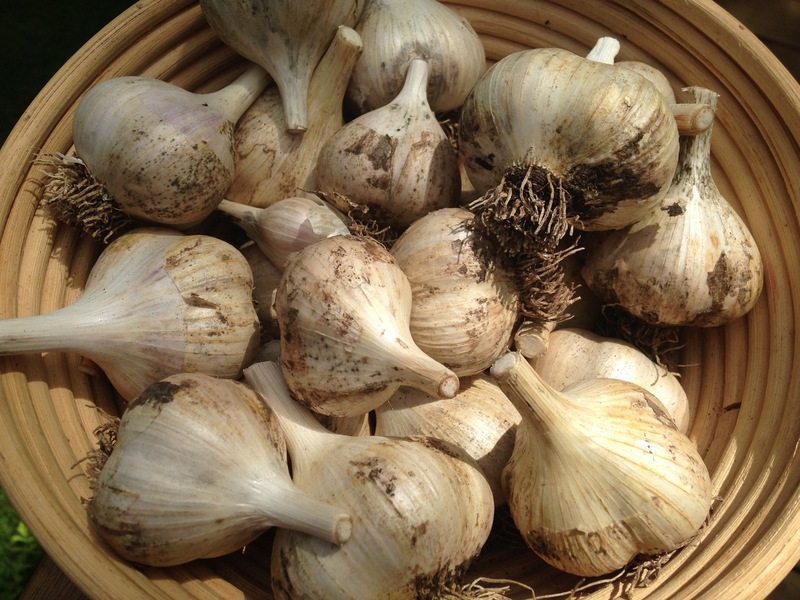 This entry was posted in Farming and tagged Catskill Farming, Catskill Farms, Catskill Mountains, Catskills, Catskills Farming, Garlic Harvest, Summer in the Catskills, Upstate Life, Upstate Living, Upstate New York, Upstate NY on August 20, 2016 by JNUrbanski.